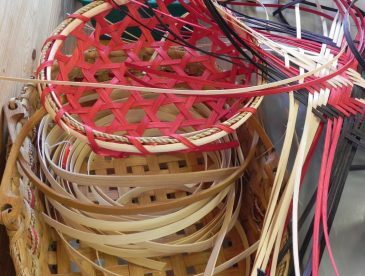 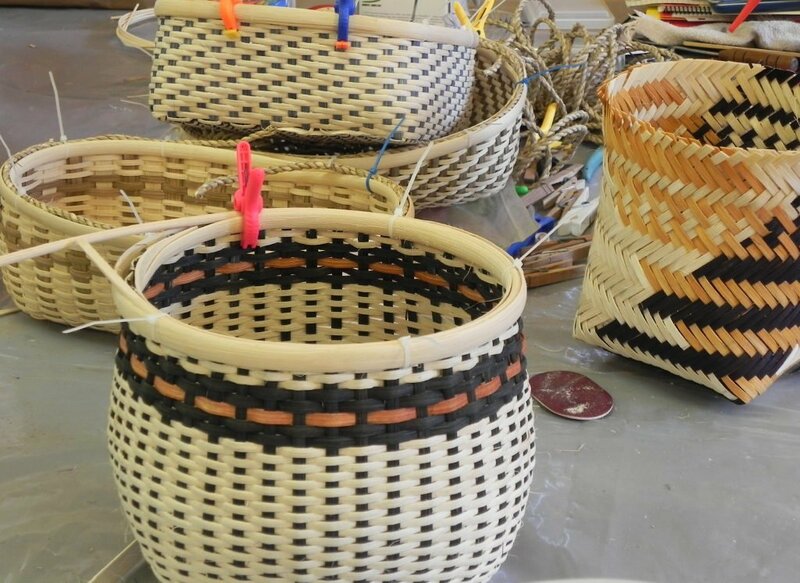 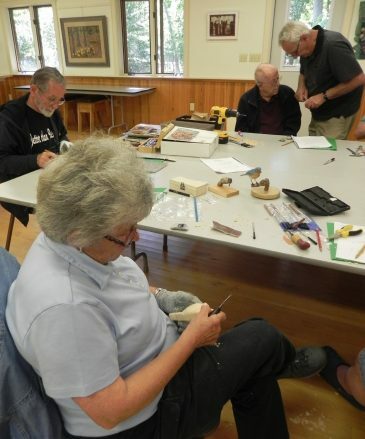 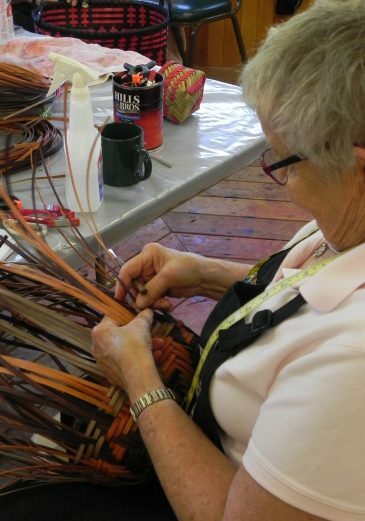 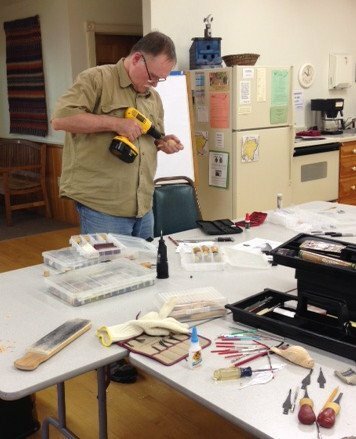 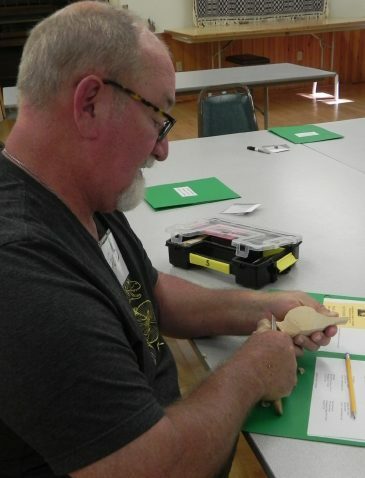 When “happiness is in your hands”, it shines through in the finished work, just like the baskets made in class with Jeanette Biederman and the bluebirds from Jerry Landwehr’s Carving Songbirds class. 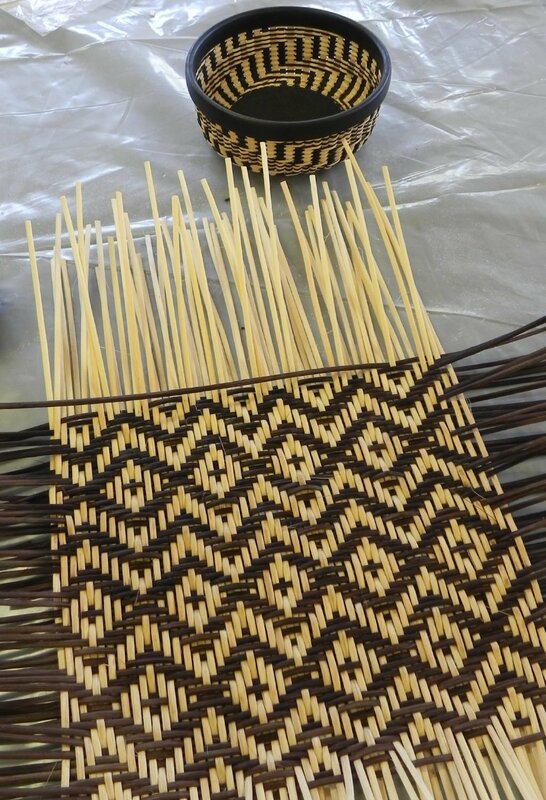 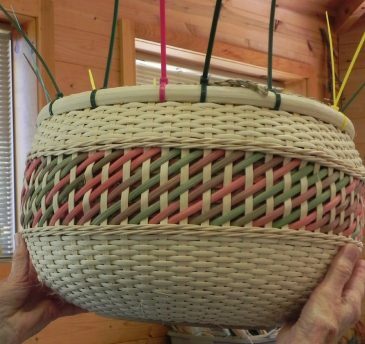 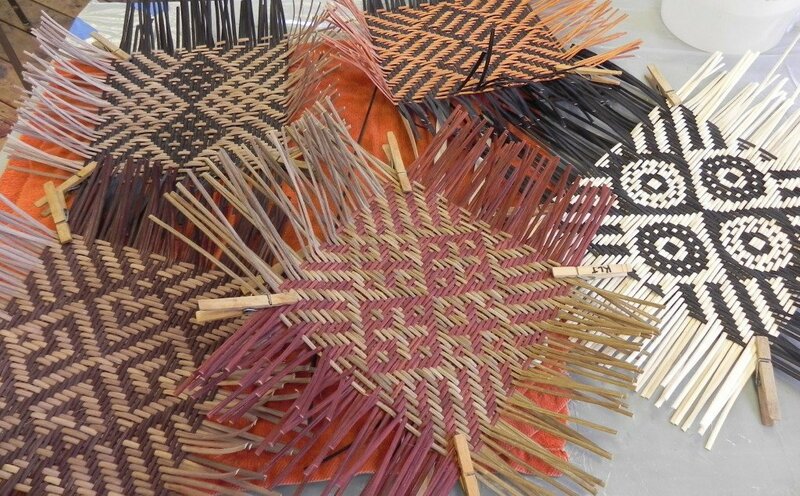 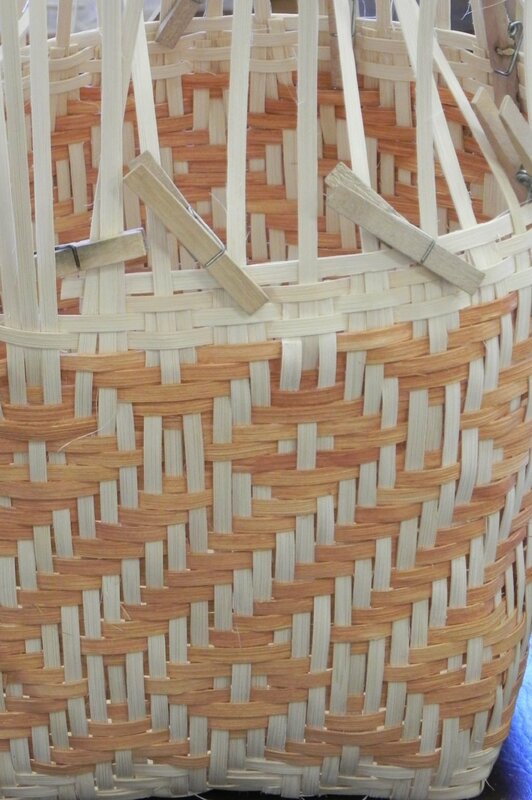 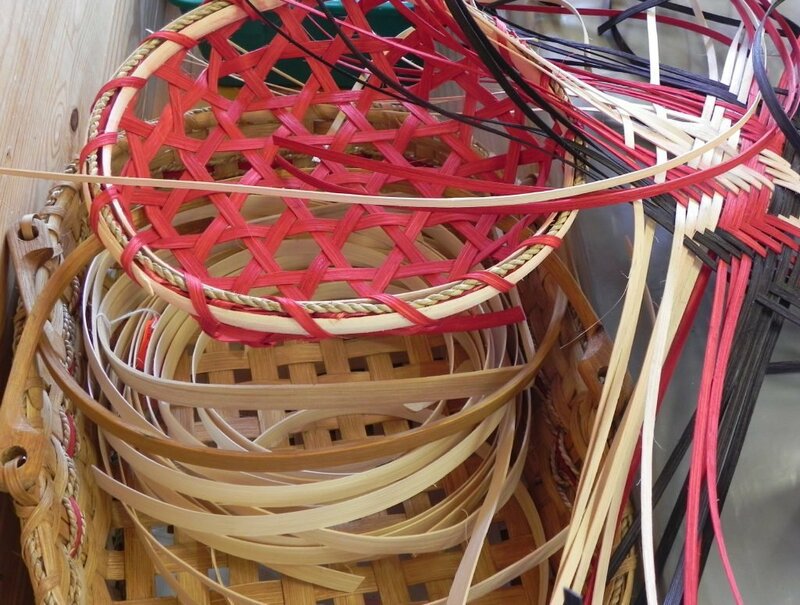 The week was filled with patterns, colors and a multitude of baskets just like previous Independent Study classes! 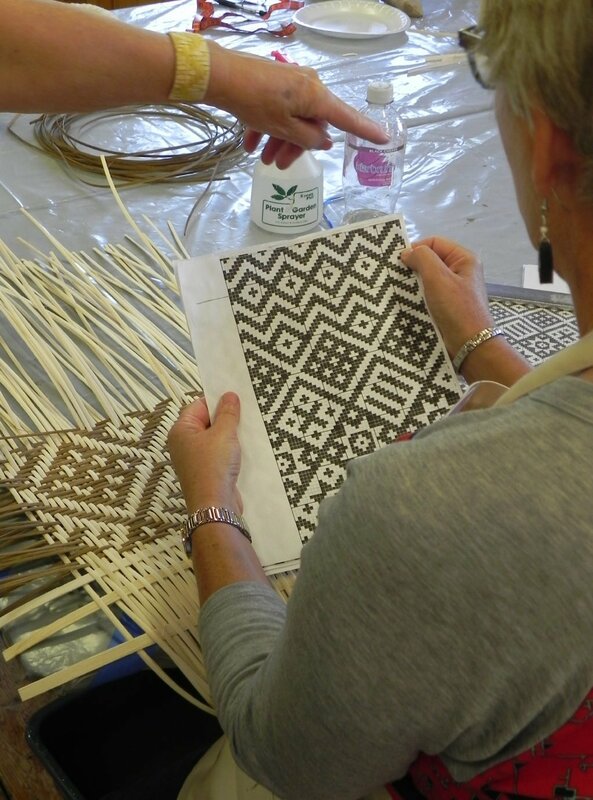 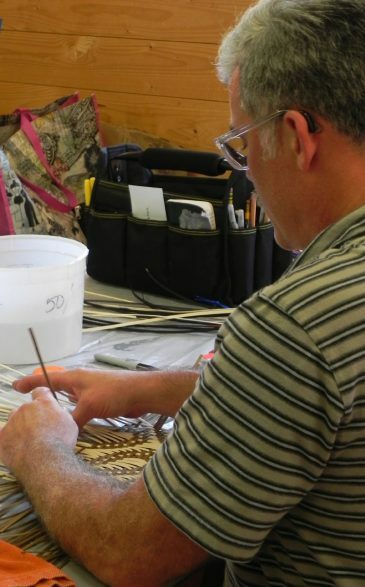 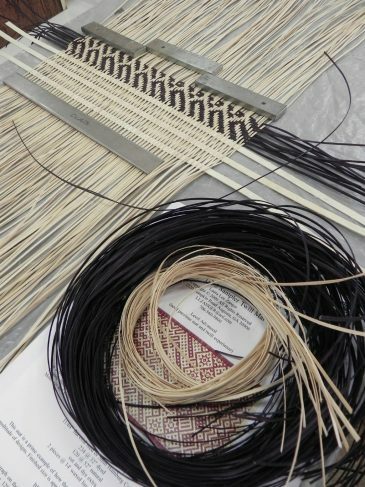 A number of students focused on trays with many complex designs seen in the studio. We like to think the happiness generated in class was tucked inside all these baskets before they went home! 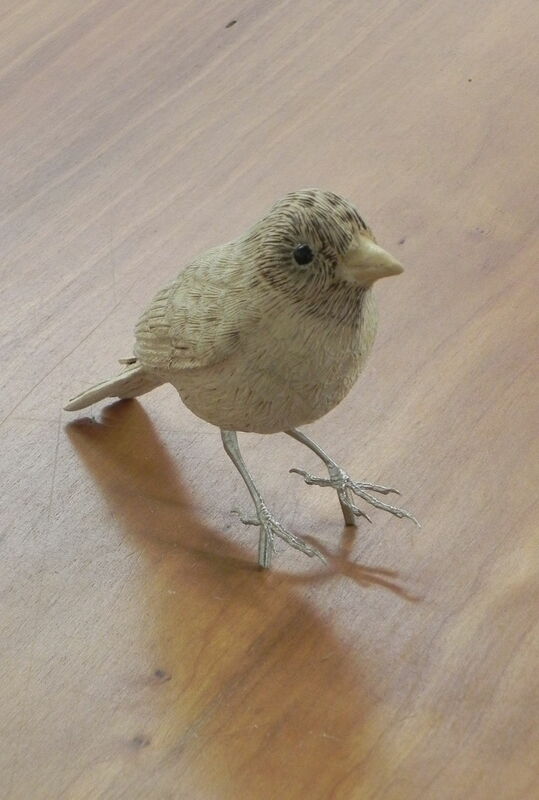 Using basswood or butternut and starting from a rough-cut form, the carving students brought their bluebirds to life in just two days time. If “happiness is in your hands” could these be the bluebirds of happiness?